Are you ready to make a new family meal the new staple in your home? 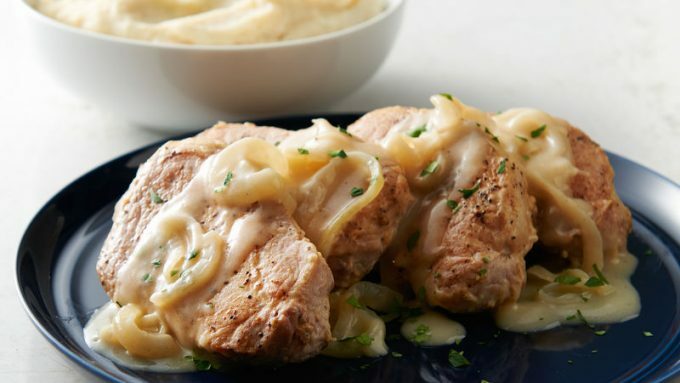 Check out this delicious Creamy Parmesan Pork Chop Skillet recipe from Betty Crocker. This delicious pork chop is topped with Parmesan cheese and parsley. The pork gives this classic dinner a lush flavor along with the sauce. A side of potatoes pairs nicely with this meal. Be sure to add your vegetables too!